William Morrow Paperbacks, 9780060977023, 352pp. 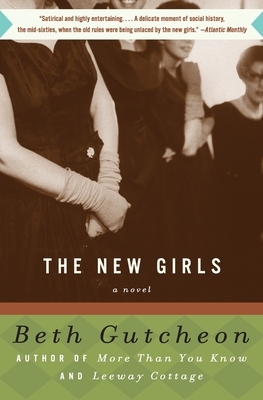 The New Girls is a resonant, engrossing novel about five girls during their formative prep-school years in the tumultuous mid-sixties. Into their reality of first-class trips to Europe, resort vacations, and deb parties enter the Vietnam War, the women's movement, and the sexual revolution. As the old traditions collide with the new society, the girls lose their innocence, develop a social conscience, and discover their sexuality -- blossoming into women shaped by their turbulent times.